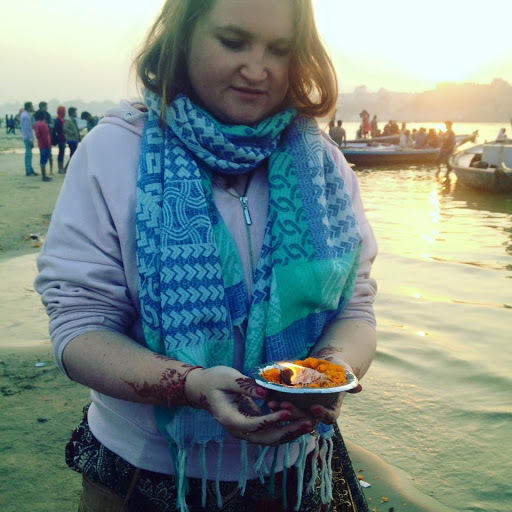 My Golden Rules for Travelling Mindfully – Where's Clair? Throughout my training in Psychology and Health, the word “mindfulness” began to crop up here and there. I paid little attention to it at first, other than writing about it in academic essays as a method of stress reduction. To me it was a buzz word, a therapy, a tape that you listened to when you needed to calm down. As I progressed professionally I began using mindfulness in therapy. Still, it was something that people would practice for an hour and then forget about. I decided I needed to learn more and I discovered that, guess what? I had been practicing mindfulness all along! Have a think about this. How often have you said that looking forward to a holiday was better than the holiday itself? How often have you said that it was only when you looked at your photos that you were reminded that you had a good time. It sounds easy to be mindful. All you have to do really is be present and take everything in. But it may be a little more difficult than you think. Maybe you have problems at home that you can’t help but worry about. Perhaps you are travelling alone, and a large portion of your attention is focusing on getting where you need to be next. There are loads of reasons why we don’t travel mindfully. We travel bloggers can also be guilty of this, wondering what will make a good story, or afraid that we will miss a good photo opp. We have cameras with selfie sticks, water-proof cases, Go-pros, etc., and the need to document each moment can prevent us from simply living in the here and now. Paying attention is the easiest part of mindfulness. It means listening, watching or considering what naturally exists. This is what we would do usually when arriving in a new place. We take a look around, we listen to the sounds, we smell, we feel the sand between our toes. But there is so much more than that. One of my favourite places to visit when I’m away is a local market. From the souks in Marrakech, to the Spice markets in Delhi, this is where it all happens. You will find the salt of the earth, the local people buying local produce. You can feel the locally made fabrics, be they silk, or wool or leather. I like to smell the herbs or spices and see if I can guess what they are. I like to listen in to the transactions made as people haggle and watch the expression of the shop keeper’s face as a deal is made. My biggest tip for paying attention is to put down the camera! Don’t get me wrong, I love taking photographs and I am a guilty of this at times. But it is never the same to experience something through the lens of a camera. Switching off from social media for the day is also good. 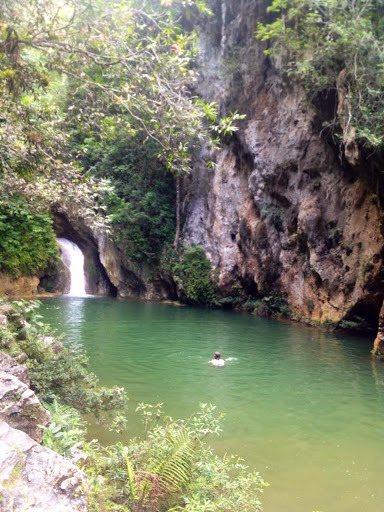 In Cuba I had a digital detox. A whole week without the use of my phone, internet or any form of technology. I came home feeling more relaxed. In a way you could say that I “found myself” on that trip. This part is kind of like paying more active attention or intentionally increasing your awareness of experience. This takes a bit more energy and it’s about actively seeking out new experiences. I would be very much the definition of a “When is Rome-r”, if there is a new food or drink, I have to try it. Various forms of traditional dance….. I’ll try it! I suppose my top tip for this is to try new things. 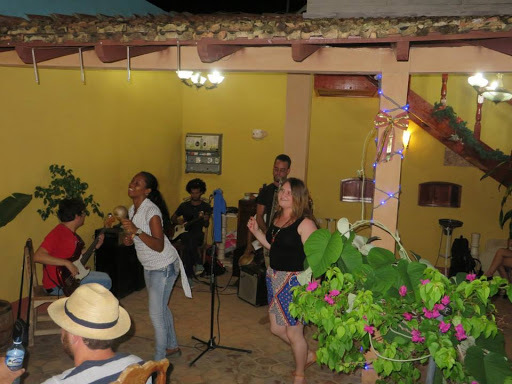 Eat the local food and drink, listen to the local music, embrace change and immerse yourself in the culture. Walk where you can. Some of the most incredible things I have seen have happened by chance. By walking around a new city we can find so many interesting and beautiful things. If I am taking a journey by bus or by car, I like to plug in my earphones with my favourite travel tunes and look out the window for the whole trip and soak in every image. Paying attention in the present moment, means focusing on the here and now. This can be difficult because we all think about things that have happened and worry about things that may come. Sometimes it can take a bit of effort to do this but I like to stop and ask myself a few questions. How do I feel right now? Where would I usually be at this time? How did I get here? Asking myself these questions really helps me to ground myself and fully experience this present moment. I also think it makes it easier to remember individual events. You can romanticize the hell out of the moment too if you like! There are probably 4 moments in my life that I will always remember very fondly, because I stopped and I payed full attention. While walking along the Seine at night when a man played “I’ve got you under my skin” on the saxophone, standing in the Baltic Sea on a beach in Latvia, driving through the country side in Georgia and bathing in the geothermal springs in Iceland. My tip for living in the moment? Slow Down! Don’t try to see everything, but try to really experience and enjoy a few things. This is one of the most important parts of travelling for me. It’s all about being curious and objective about the experience. Firstly it is so important to be observant and respectful of other cultures and traditions. When you travel often it can be easy to compare one place with another. 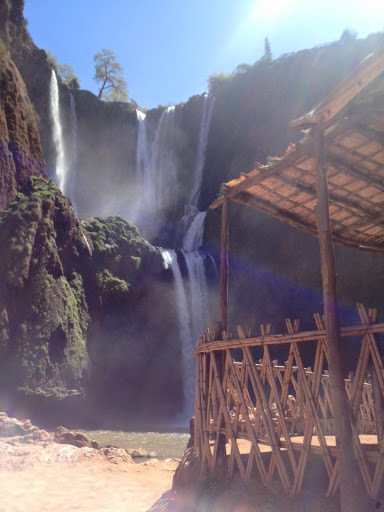 I was sitting having lunch beside a waterfall in the Atlas mountains in Morocco. A thought crossed my mind, that this was not as big, or nice as some other waterfalls I’ve seen. I had to stop myself and think, this is a beautiful waterfall! It is so easy to fall into the trap of comparing places, but it is better to appreciate each place on its individual merit. How can we be non-judgmental when we travel? First and foremost, by keeping an open mind. This is a opportunity to learn about a new place and a new culture. Secondly, don’t compare this to a trip you’ve had before. Finally, and importantly, don’t forget about life lessons. Ok, so you missed the train, or you need to change your plans. Don’t beat yourself up over it. Embrace it as a challenge. It’s not a catastrophe, it’s just a lesson and who knows, maybe some day it will make a heck of a story! 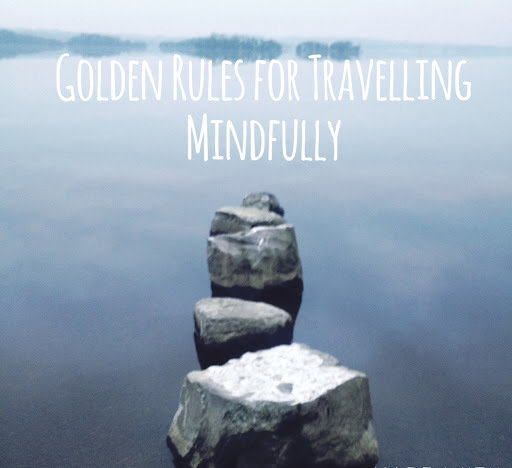 So there you have it, my 4 golden rules for travelling mindfully. Go forth and fully experience your adventures fellow travellers! I really love this article! Im definitely in a funk with our travel and I need to get my curiosity back and stop comparing things! Thank you! Love this post! I have to admit, i'm guilty of not paying attention when i travel. I'm always too busy following an itinerary or getting to a particular place that i think i miss out on other experiences. I appreciate the reminder to be more mindful. I also love your tip on not being too obsessed with documenting and taking pictures- it really does take away from the experience. Thanks for posting! Ps I'm a psych major too! Great tips! I'm travelling to Barcelona next month and will definitely keep this in mind. I think its so important to live in the moment! Great post! Paying attention and being mindful is probably the best thing we can do when travelling, so I agree with you 100%. 🙂 Thanks for sharing! Great post! I agree that mindfulness is very important in everyone's life! It should be on a daily basis. It doesn't matter if it is on vacation or in the hometown. When I read “paying attention” I had to think about my daily habit. I love to use the underground train rides to pay attention to other people. As the phone reception mostly is very bad, I use this time to just pay attention to my surrounding. It's so interesting and sometimes also funny. Oh these photos are absolutely brilliant. And I very much agree that while travelling you have to be very non-judgemental. Different cities, countries have their own culture and however different they might be from one's own they should be respected and enjoyed. Whenever I go on holiday I always take a detox. Sadly I have not been on a holiday since first year of university so a digital detox is well overdue. This is really a good list. It makes me feel that the journey itself is better than the travel. Getting to experience the culture and being one with the community surely is more important than having photos. This should really be disseminated to those who would want to travel. I couldn't agree with you more about relaxing and enjoying the moments you're in without worrying about photos, social media or any of that. We've been trained otherwise, so it's very hard to do. It's totally worth it though! To be mindful means to be in the moment. Sometimes it seems hard to do when you're trying to capture everything for posterity. I agree with your tip about remembering to put down the camera! I sometimes and so blown away when travelling seeing the beautiful sights, I find myself focusing more on getting a good picture to remember it that actually taking in the beauty without the need for a camera to picture the memory! I've come to the state of mind now that enjoying and embracing every place and cultures wherever I visit is the best part of traveling. On the other hand, put the camera away is not an easy part for me. I think this is one of the reasons I am afraid of travelling, Lack of attention. These reminders are priceless. Being in the moment & having no judgement allow for incredible experiences and memories. Great post, Clair! Putting down the camera is such a good tip. We absolutely agree that it is not the same. When you end up in a remote place without network, it is a blessing in disguise. No social media, no mails, complete peace! I love this so much and I agree wholeheartedly with you on each point especially being non-judgmental. It is so easy to make comparisons when traveling. I recently had to educate someone on how beautiful the entire country is in America because they kept comparing the east coast to the west coast, and complaining that the west was the best. I truly believe each place has its own flavor, culture, and specialty and every place should be loved for it’s own unique beauty and personal style. Love, love, love this one. Loads of really important points in here – paying attention when you travel is important and putting down your phone or camera is also a fantastic idea! Comparing is also something that i try not to do – we are very lucky to be able to travel around the world and appreciating the place you are in is very important!